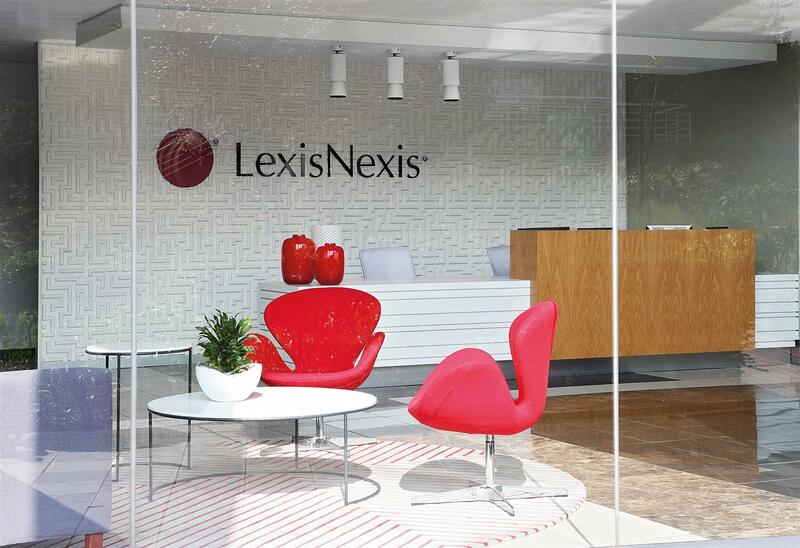 Tétris provided LexisNexis with an end-to-end service offering starting with a workplace strategy that would take them well into the future. 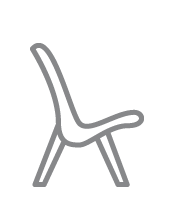 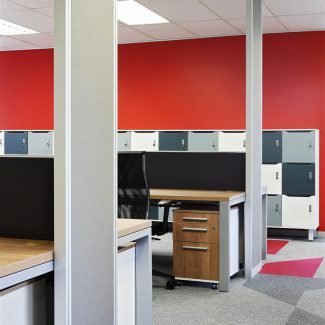 The design takes into account the company’s expected growth, as well as the global look and feel and spatial standards. 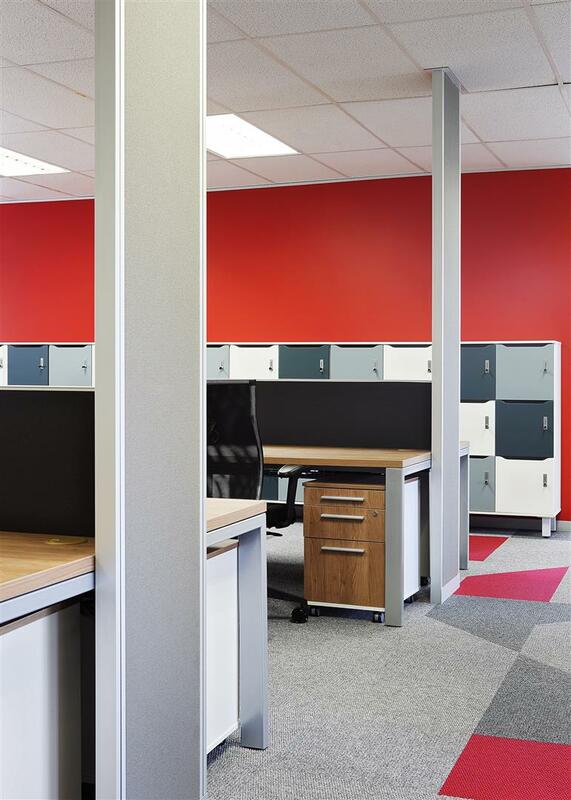 Making use of existing furniture, it was key to balance the old with the new way of working. 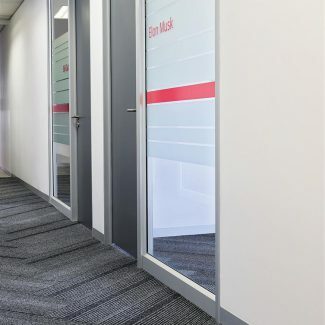 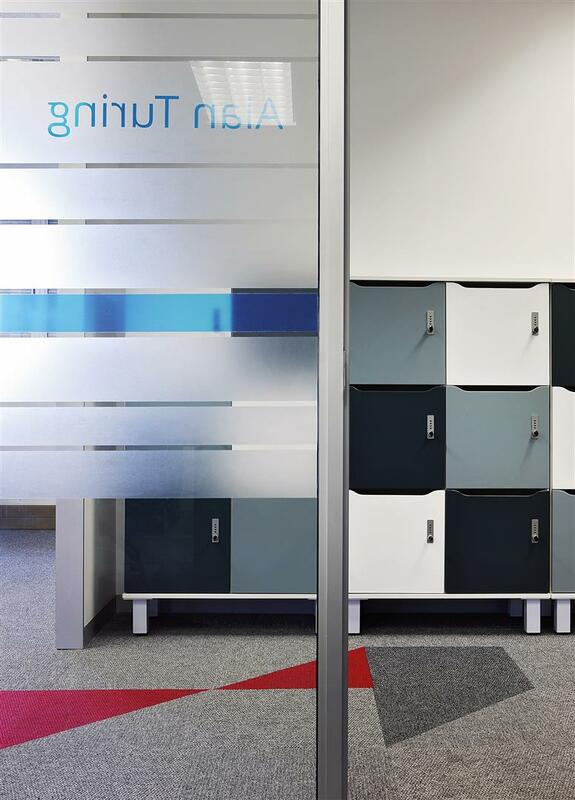 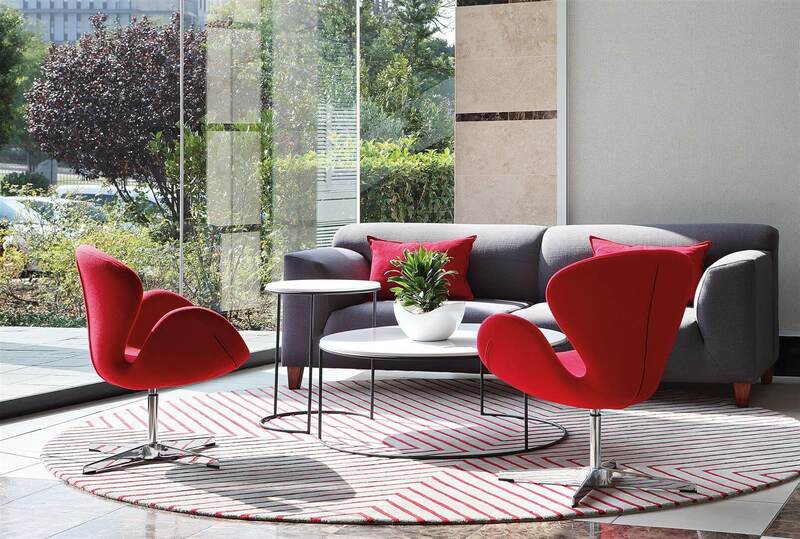 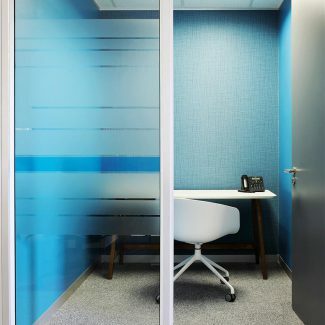 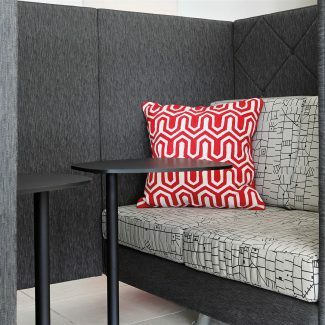 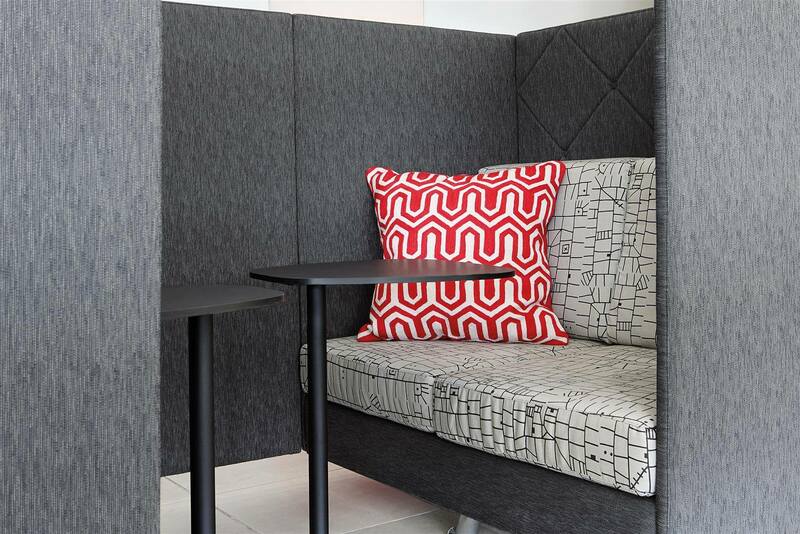 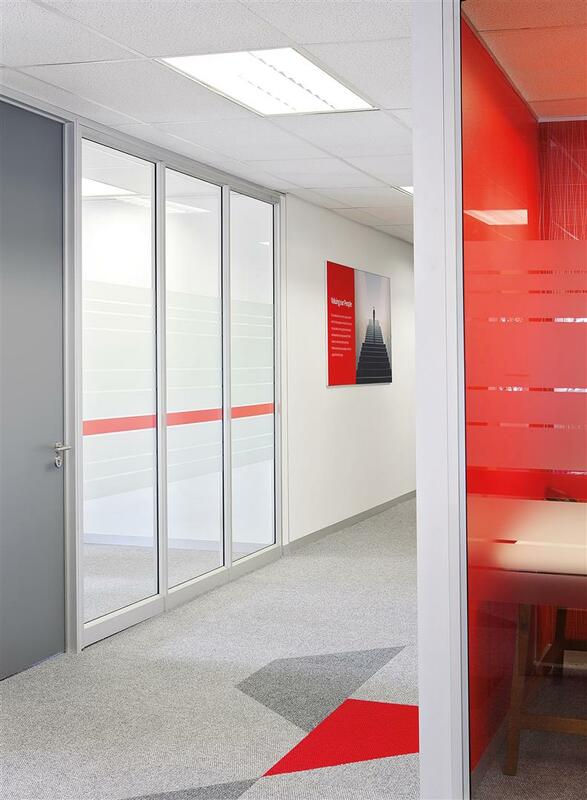 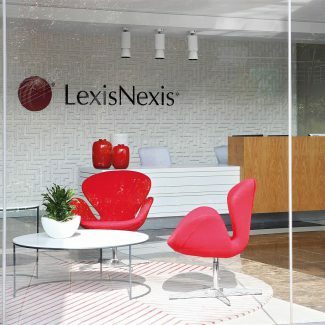 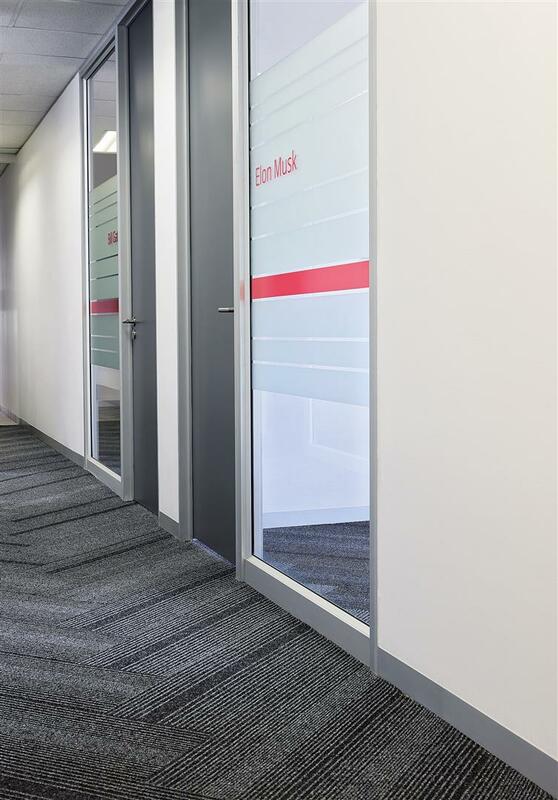 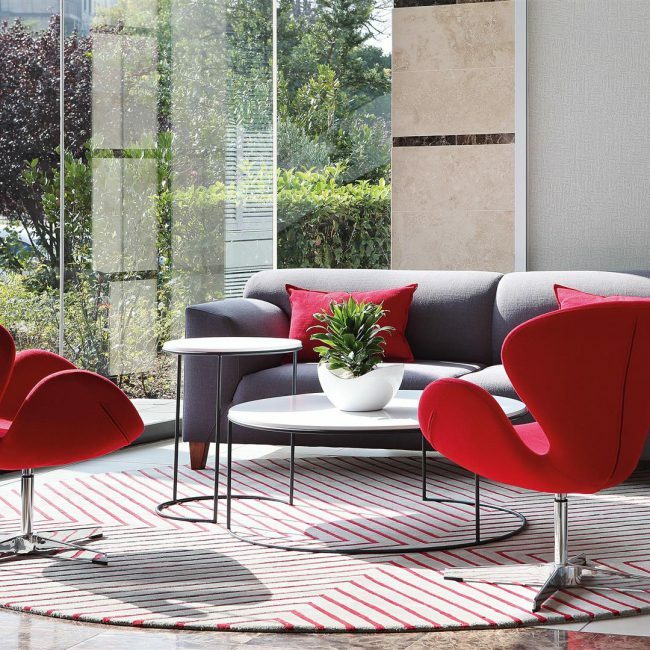 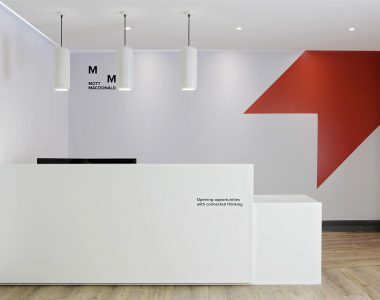 Upon arrival, one is welcomed by LexisNexis’ global corporate look and feel, with clean lines, texured white, blonde timber and the bold use of red. 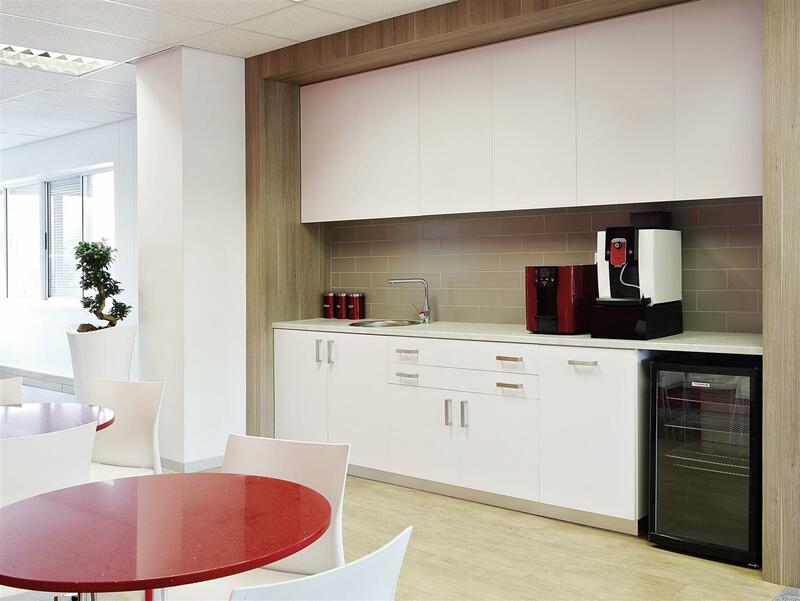 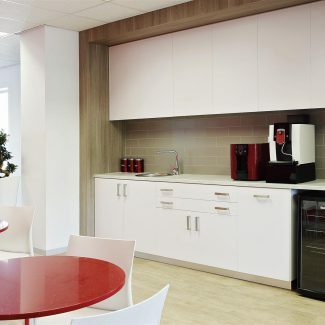 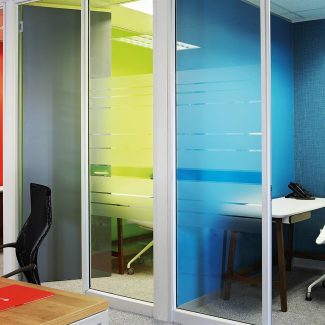 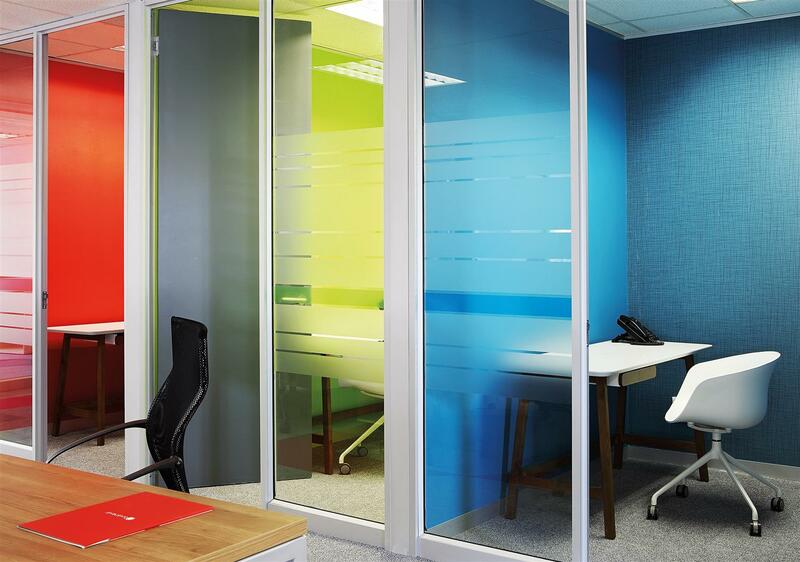 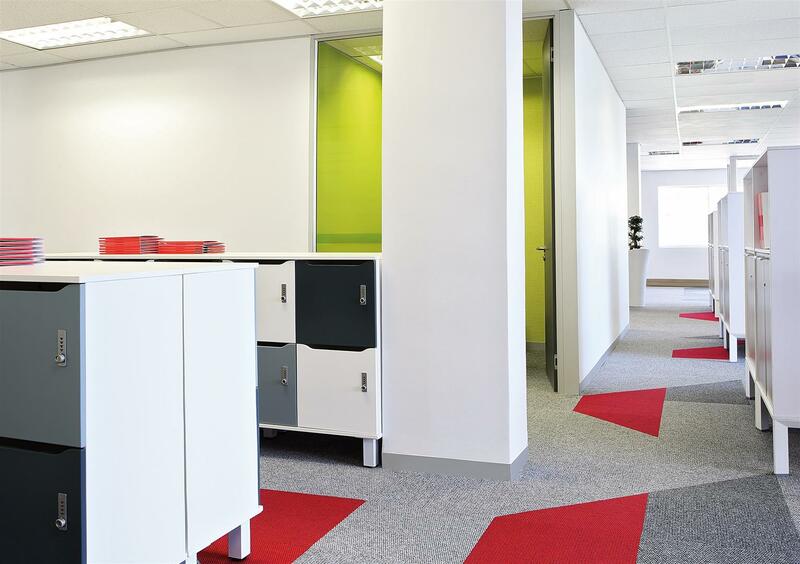 Beyond the client areas, the red is artfully balanced with the subtle use of lime and sky blue in the office spaces. 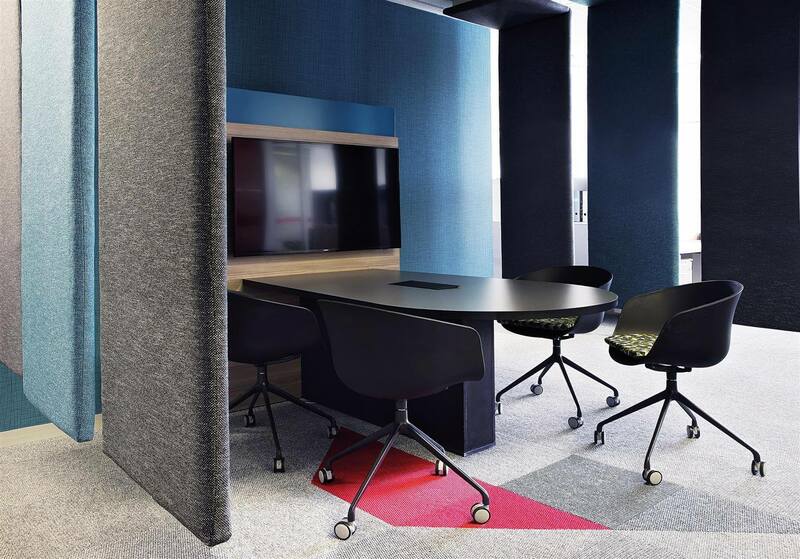 The clever use of materials results in a bold and interesting floor finish. 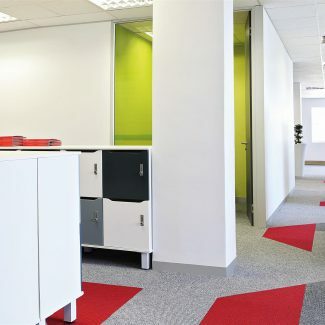 Splashes of coloured carpet can be seen throughout, leading one through the space. 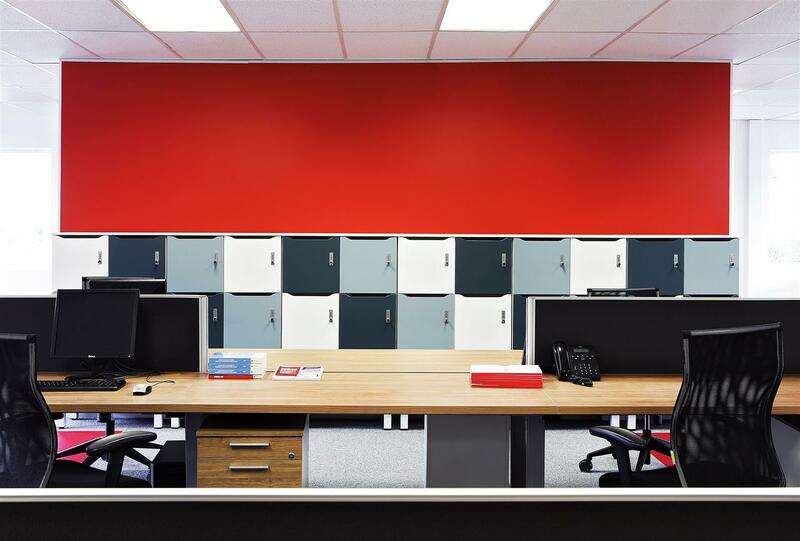 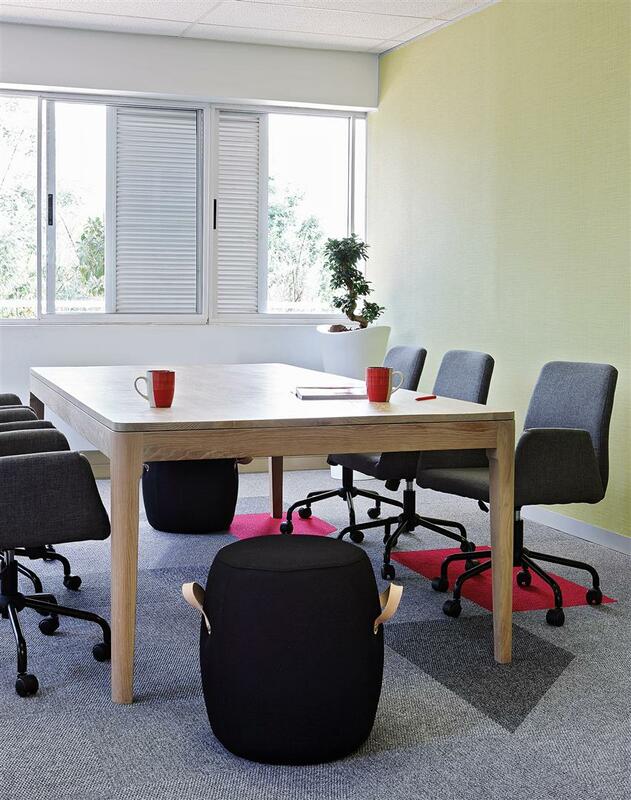 Call rooms, collaboration areas, breakout spaces and hot desk areas are demarcated by furniture choices in specific colours. 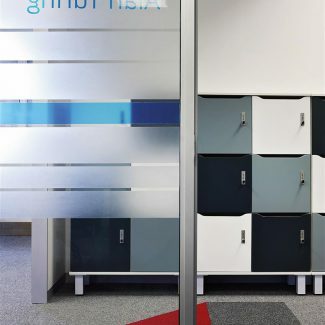 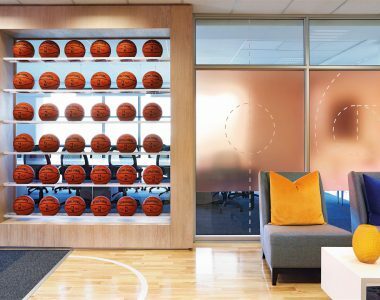 Lockers facilitate fluid mobility of staff throughout the space, promoting collaboration. 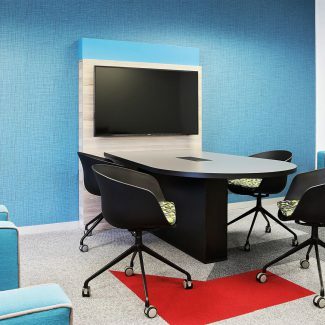 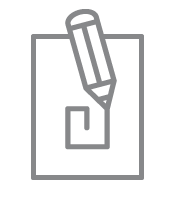 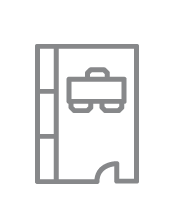 Elements such as huddle stations, acoustic sofas and call rooms support the various tasks that staff undertake in their new environment. 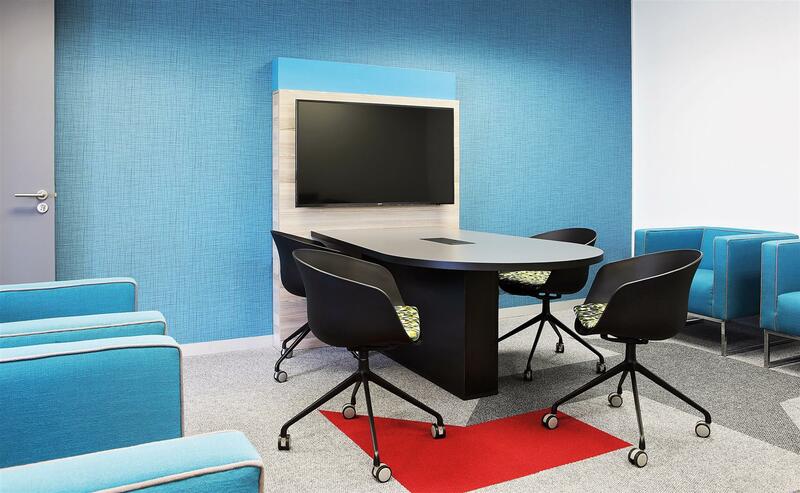 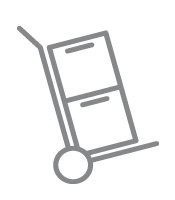 Tétris combined existing furniture with new pieces for seamless integration and cost-effectiveness. 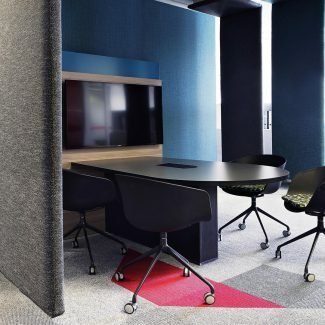 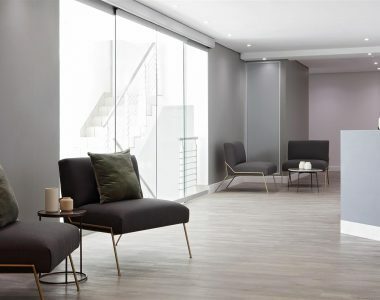 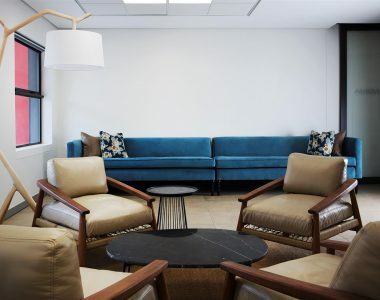 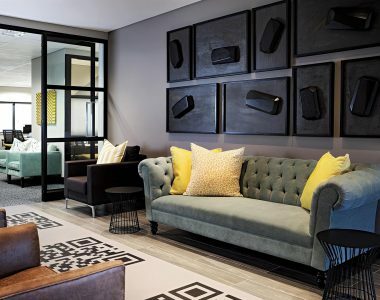 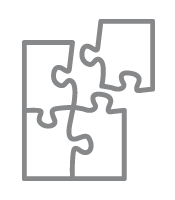 The project management team managed a seamless flow of communication and ensured that design elements were implemented timeously and to Tetris’ high standards. 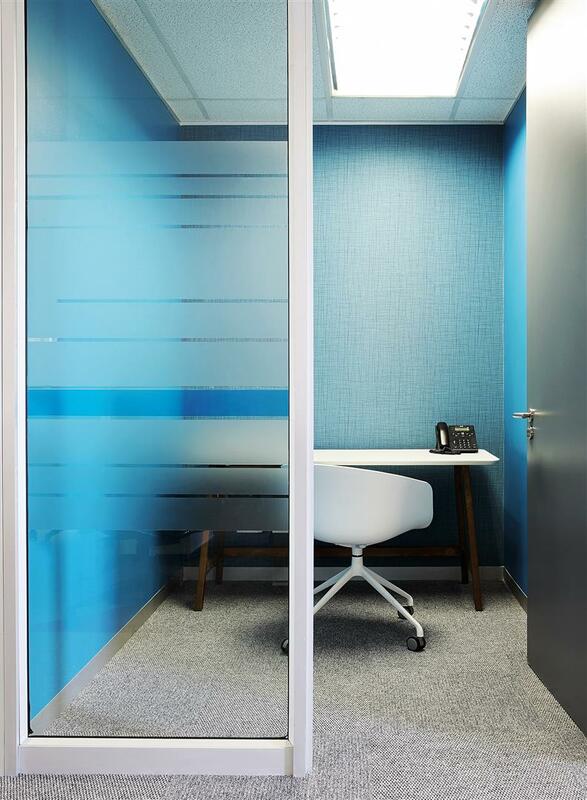 Tétris were unbelievable with this project. 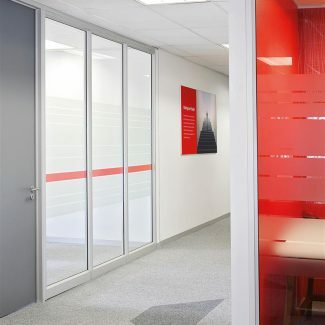 The team turned a vision into reality in a very tight time frame and on an even tighter budget. 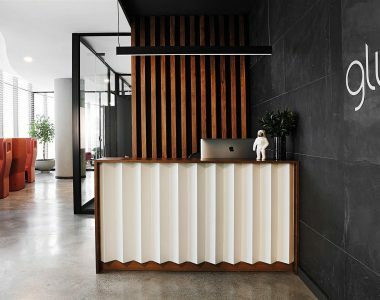 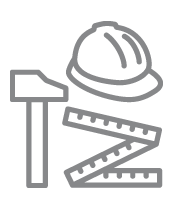 The entire project was managed with ruthless efficiency from the design phases, through to the build and ultimately the hand over. 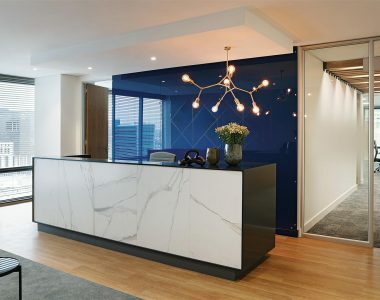 It must be noted that this project was completed during the end-of-year period where it is extremely difficult to get suppliers, builders and contractors to deliver. 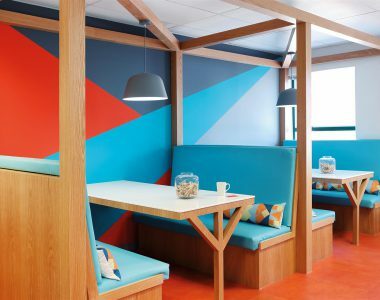 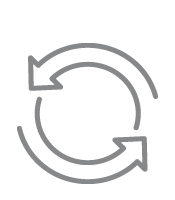 Tétris handled this, as well as the usual scope creep, last minute modifications and design changes all in their stride and were extremely professional throughout the whole process. 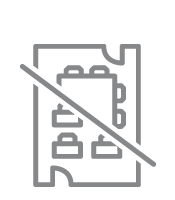 I would and am using them again for my next project.